Early visits can prevent minor problems from becoming major ones. Teaching good habits early is very important, as good habits starting young can set your child for a lifetime of good dental health. Avoid your child going to bed with a bottle (with anything other than water), brushing frequently to keep plaque levels low, reduce snacking and starting dental visits early can all make a big difference to the overall health of your children’s teeth well into adulthood. The thinking that baby teeth are not important is wrong. We would not be born with them otherwise. Baby (milk) teeth are necessary not only for chewing but also serve to hold spaces for developing permanent (adult) teeth. Baby teeth play an important role in the development of speech. All of the dentists at Banora Seaview Dental are very gentle and good with children. Gavin and Martin particularly enjoy treating children. 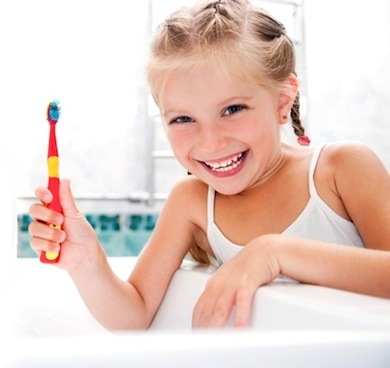 Here are some good links regarding children’s dental health with good cleaning hints and tips and also making it fun. This is a new Medicare initiative that allows for eligible families with children aged 2-17 to access general dental care, examinations, treatment, prevention and advice. Banora Seaview Dental are proud to be offering this scheme BULK BILLED. Please contact our reception staff who will happy to help you. 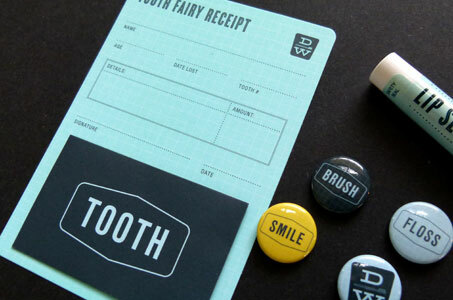 In light of this new scheme there will be lots of little girls and boys who will be visiting the dentist for the first time! 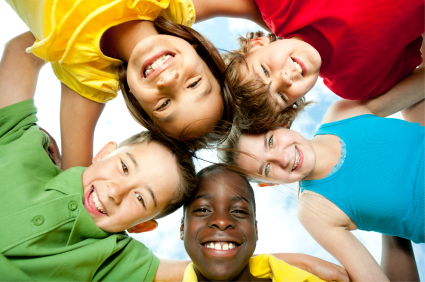 This is a very important visit and can help set your child up for good dental health for life. The dentist prefers the first visit to be acclimatising the child to the surroundings and making the visit fun. Having this first visit as a ride in the chair, counting of teeth, can be very helpful. Ensuring the first visit is a positive one is the best way to give your child good dental health for life and keep them smiling for life! The key to minimising the risk of developing many dental problems relies on good and frequent brushing and flossing. This holds true for everyone at all ages. As soon as the child’s first primary (baby) tooth starts erupting, the parents are encouraged to start brushing the child’s tooth/teeth twice a day. A child toothbrush with a small head and soft bristle is best. Once your child’s primary (baby) teeth have all erupted (around two and a half years of age), teeth can be flossed daily. Our dentists can show you how to do it, and are happy to discuss the type and amount of toothpaste your child can use. A child generally does not develop sufficient manual dexterity to correctly brush their teeth until about 8 years of age. Hence it is highly recommended that until that age, the child’s teeth are brushed by the parent/carer. By all means let the child have a go first, but then mum or dad should always supplement and finish this process. Once the child starts taking control of their own toothbrushing, use of disclosing tablets (made from food dye which turns left over food and plaque on teeth pink) from time to time offers a valuable teaching tool to show where the teeth need to be brushed better. Disclosing tablets and other useful teaching methods can be obtained from our friendly staff who are more than happy to offer support and advice to children and their parents/carers. One of the most serious dental diseases that some children present with is Bottle decay. In these cases, many of the primary teeth have been affected by the caries (decay) process and most often require extensive treatment including removal of heavily broken down, infected or abscessed teeth. This condition is caused by frequent and long exposure of the child’s teeth to liquids such as milk, fruit juice and other sweetened drinks. Many of the affected children are reported to often being put to bed for a nap or at night with a bottle filled with a drink other than water or have sippy-cups filled with sweetened drinks or milk that the child can walk around with throughout the day. Each time the teeth are recoated with the drink, a little more damage may take place. Over a year or two, such consumption habits can have debilitating effects on a child’s dentition. It is strongly recommended that children should not be offered a bottle or sippy-cup filled with any liquid other than water, except at meal times. Also children who use bottles for comfort during sleep should only have water in their bottles. As every child’s individual circumstance may be different, please don’t hesitate to discuss your particular concerns regarding bottle feeding with one of our friendly dentists who can offer you suggestions and methods to help in reducing the potential risk of caries associated with bottle feeding.